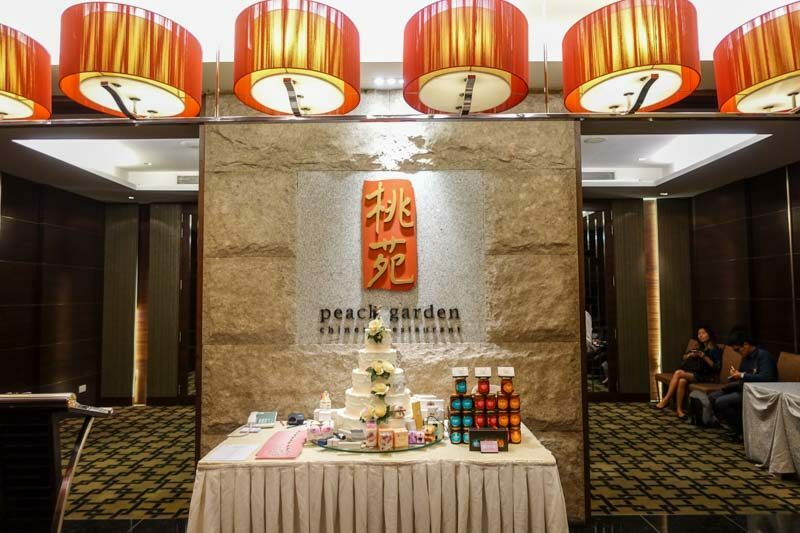 Peach Garden has long been known in the restaurant world for serving up authentic Cantonese fair with great elegance and finesse, so I recently dropped by Peach Garden @ Hotel Miramar to check out their stellar A La Carte Buffet starting from $24++/adult (after 50% discount). The buffet is currently ongoing for both lunch and dinner service, until 31 July 2018. With such a fine menu, boasting the best quality ingredients, who says you need a special occasion in order to feast like a king? Of course, the dishes were nothing short of spectacular, with over 30 dishes to choose from. You could say that my dining partners and I were definitely spoiled for choice. The buffet impressed us with its wide variety, and satisfied even the pickiest of eaters from our dining party. Here are some of my top picks that you should look out for and try when you come down for Hotel Miramar’s A La Carte Buffet. The Double-boiled Superior Abalone Soup was my favourite from their selection of five types of soups. The soup was tasty and sweet, and reminded me of the homely Cantonese soups that my grandmother used to make. There were also succulent chunks of chicken, as well as a sizeable piece of tender abalone too. If shark’s fin is more of your thing, go for the Braised Baby Superior Shark’s Fin with Fresh Crab Meat and Egg White. Nothing better than a hearty bowl of soup, cooked the traditional way, to whet your appetite and to kick-start the buffet. 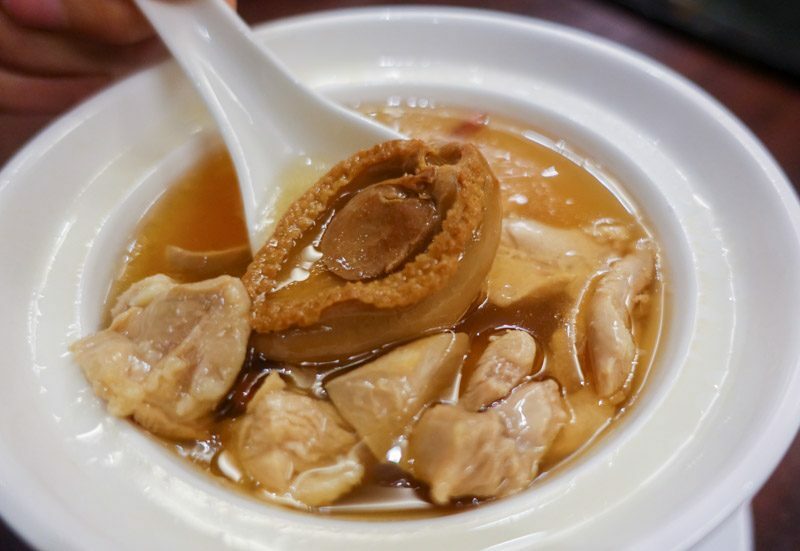 Do note that it is limited to only one order per pax for any shark’s fin or double-boiled soups. 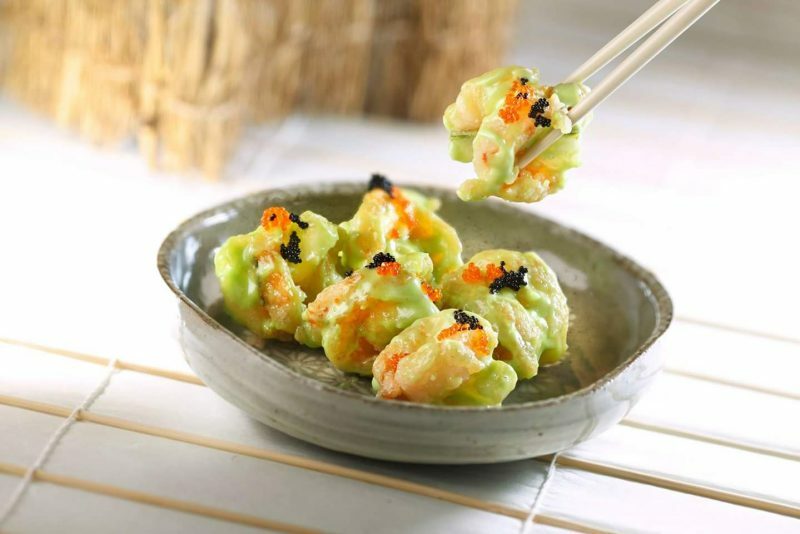 Wasabi prawns are a common sight on most menus nowadays, and Peach Garden doesn’t disappoint on their take with the Deep-fried Fresh Prawns with Wasabi Salad Cream. You can taste the sweetness of the fresh prawns that have been lightly battered and deep-fried. The prawns have a great bite to them, unlike frozen prawns. The wasabi cream was the winner for me, as it provided the prawn balls with an intense nose-burning kick. A definite must-order. 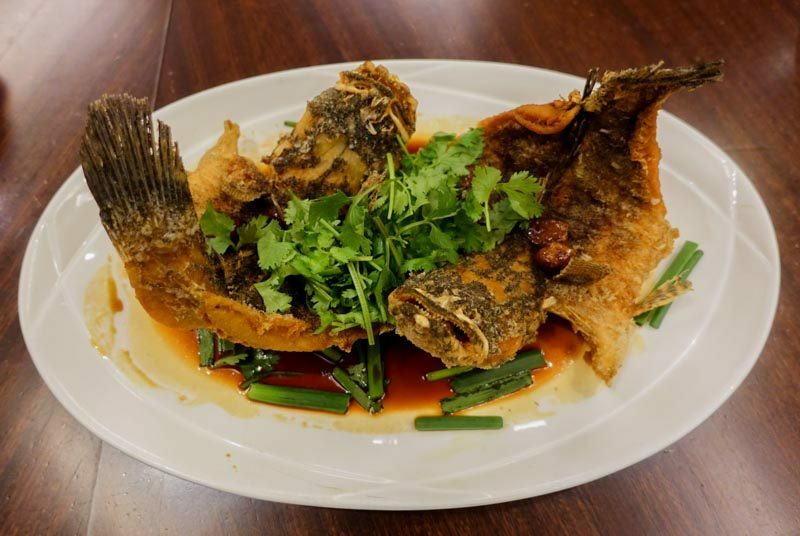 On their seafood menu are Peach Garden’s signature whole fish dishes such as Steamed Pa Ting Fish with Minced Ginger in Superior Soya Sauce and Deep-fried Soon Hock Fish with Garlic and Superior Soya Sauce. The latter was my preferred seafood dish, and I loved how the crispy, meaty fish complemented well with the savoury sauce. A match made in heaven indeed. You can order an unlimited amount of whole fish at the buffet, which makes this deal value for money for the fresh quality of the fish used. 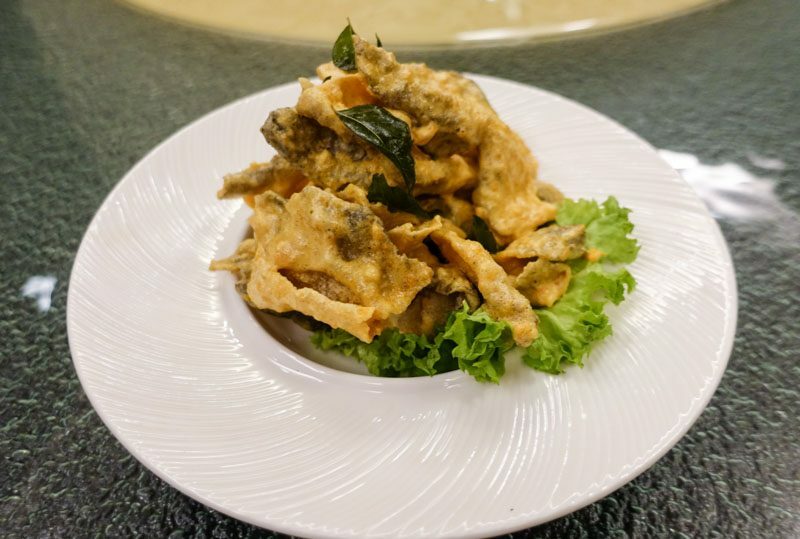 Kids will love the Fried Salmon Fish Skin with Salted Egg Yolk. Crunchy and delicious, the fried salmon skin is coated in a thin layer of salted egg yolk sauce, which had a great balance of both savoury and sweet flavours. I had to stop myself from munching on this addictive dish though, as there were still so many other offerings on the buffet spread that I wanted to try. Coming from a Cantonese background, I know a plate of good gu lou yok when I see it. 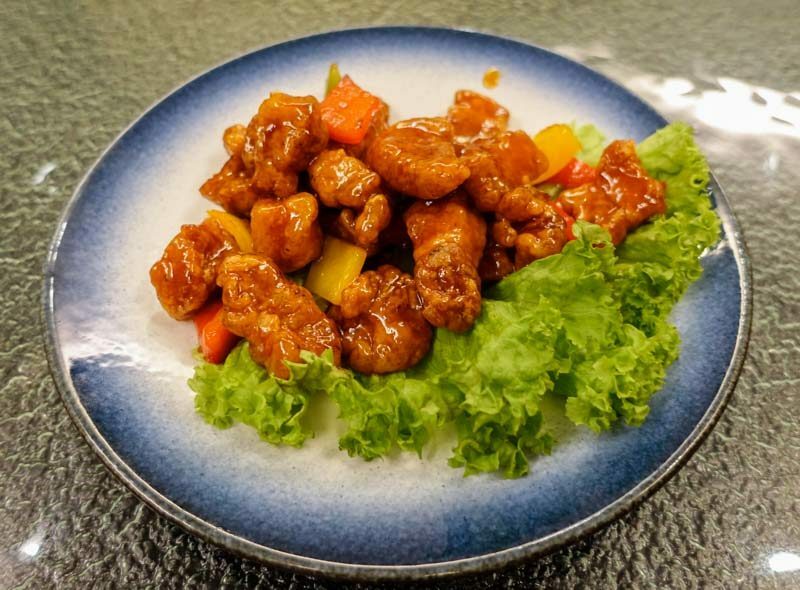 The Sautéed Sweet and Sour Pork with Lychee was a hell of an attractive dish, with the pieces of deep-fried pork belly and veggie chunks glistening from the tangy, ruby red sauce. I took a bite and realised that they used the pork belly cut, resulting in a great texture when chewing through both fat and meat. The lychee was sadly nowhere to be seen in the dish, and it would have been great if they flavoured the sauce with lychee juice to add an extra sweetness. That aside, this was still a great dish and I could definitely see myself ordering this dish the next time I visit. The Braised Handmade Beancurd with Shiitake Mushroom and Minced Meat Sauce was a clear winner for me. 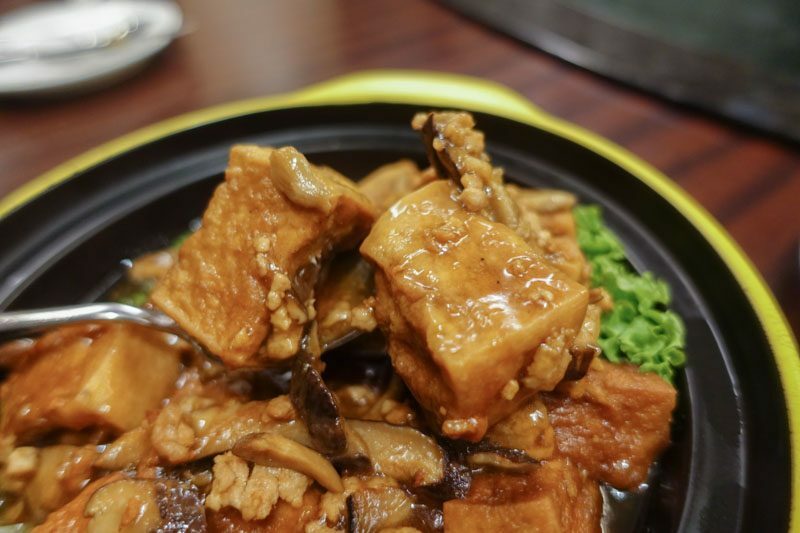 Served in a claypot, the lovingly handmade beancurd cubes were deep fried then braised in a thick sauce with minced meat and generous slivers of shiitake mushrooms. You can definitely tell the difference for the homemade beancurd as it was tender and had a rich, creamy taste from the soybeans used. I would definitely recommend getting this, as it is the only specialty beancurd dish on the buffet menu. The highlight of the buffet for me was definitely the Peach Garden signatures featuring steamed live prawns. Needless to say, the prawns in both dishes were crunchy and sweet, and my favourite part was sucking up all those briny juices from the prawn head. The Steamed Live Prawn with Chinese Wine and Herbs, came in a beautifully flavourful soup that even my Cantonese grandmother would be proud of. Whereas the Live Prawn in ‘Indonesia’ Style came in a rich, spicy coconut gravy that I wouldn’t mind pairing a bowl of rice with. My only gripe with the latter would be the copious amount of chilli oil that seemed to float on top of the dish. The dessert menu does not disappoint as well. 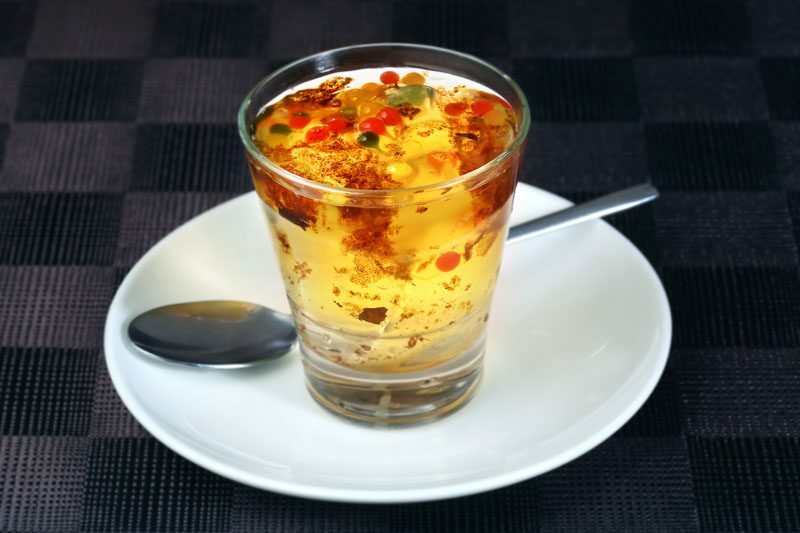 The Chilled Jelly Royale with Julienne of Coconut stood out with its clean and fresh taste, with the jelly itself made from fresh coconut water. It was topped with jelly tadpoles, which I feel will appeal to the kids and for those who want a light dessert to end off an indulgent meal. 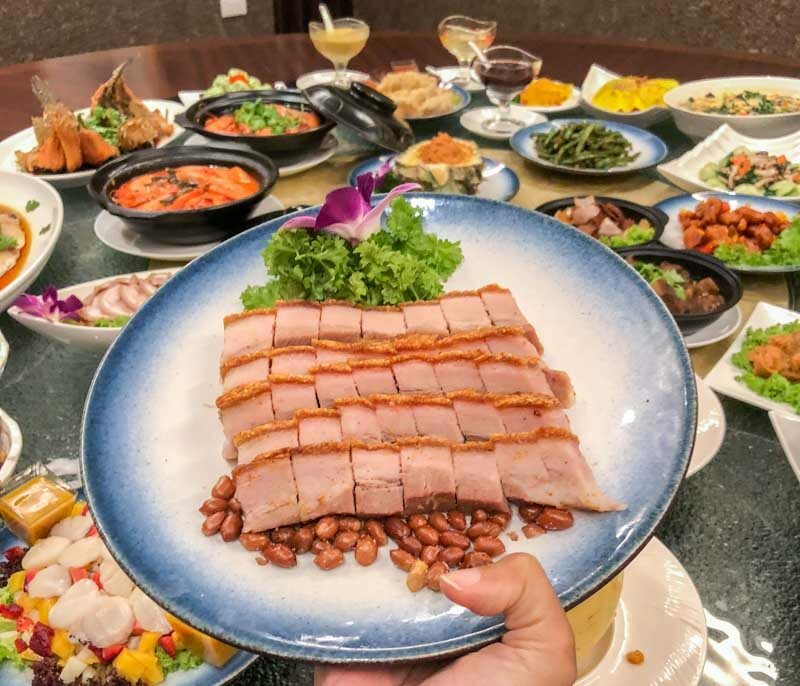 Peach Garden also has a special promotion for our readers; simply mention ‘Sethlui.com’ when ordering and stand to enjoy a portion of delicious roasted London Duck (not inclusive on the menu)! 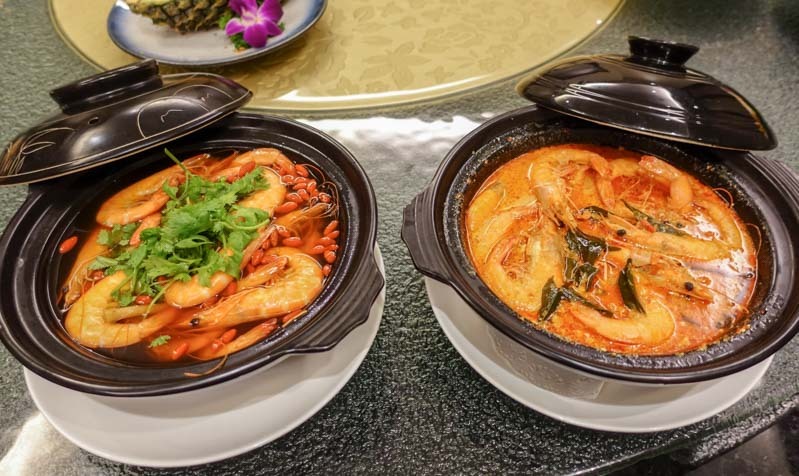 Gather your loved ones and family, and come on down to savour the best of authentic Cantonese cuisine at Peach Garden @ Hotel Miramar. What’s more, enjoy a 50% discount when you dine with a minimum of four persons from now until 31st July 2018. Celebrate mum and dad with a 40% discount when you dine in on the eve and on the day of Mother’s Day (12 & 13 May 2018), as well as on the eve of and on the day of Father’s Day (16 & 17 June 2018), applicable to a dining minimum of four persons. Expected Damage: Mon-Thu: $24++ (Adult), $16++ (Child)| Fri: $26++ (Adult), $18++ (Child) | Weekends: $29++ (Adult), $21++ (Child) *Prices indicated are after 50% discount.